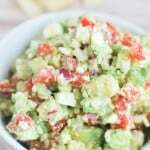 Avocado Feta Salsa – avocado, tomato, feta cheese, and red onion tossed in a garlic vinaigrette. Serve with pita chips for the perfect party snack! This is an oldie that I’m pulling out of the archives today! 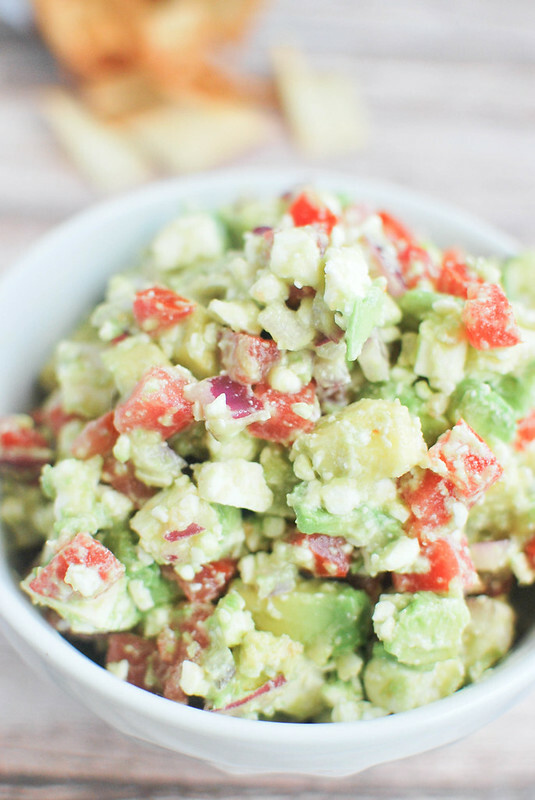 I’ve been making this Avocado Feta Salsa for years and years and years and I blogged about it shortly after I started the blog but the pictures were horrendous. Plus, this is one recipe that deserves to be shared again. My mom used to make this recipe whenever we had parties and then I got addicted and started making it every time I had an excuse. And now whenever I make it, I always get at least one person addicted and they start making it for all their parties. I’m telling you, it’s one of the best things on earth. I know it probably sounds weird. I mean, feta? In salsa? But yeah, feta with avocado, tomatoes, red onion, and garlic is kind of perfection. I always serve it with pita chips but my husband always asks for tortilla chips. It’s also really, really good with grilled chicken in a wrap. You may want to double it though. I made a batch on Sunday “to go with dinner” and it was gone before we even started cooking. And it was just me and the husband! 7 Layer Chili Dog Dip – Layers of chili, hot dogs, bacon, cheese, sour cream, red onion, and cilantro! French Onion Dip – so much better than the ones from the package! Caramelized onions and shallots in a creamy base. Toss together avocado, tomatoes, onion, and garlic. Gently stir in red wine vinegar and olive oil. Stir in feta. Cover and chill for at least 30 minutes. 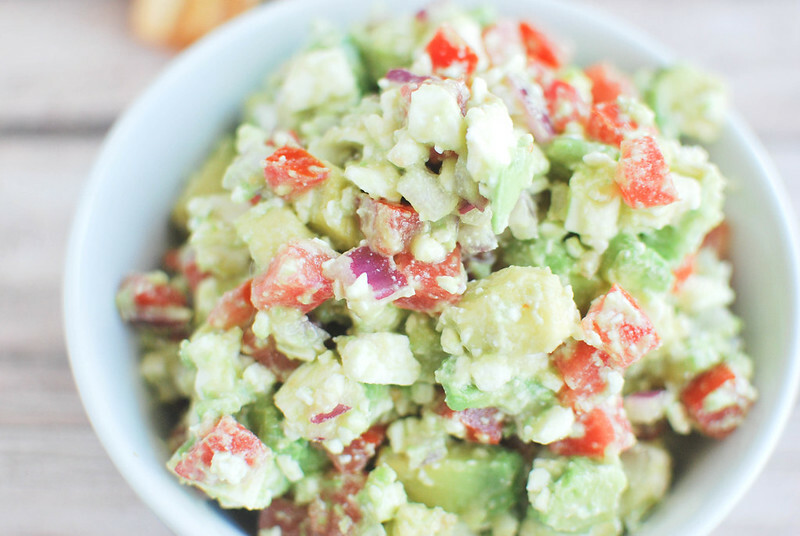 22 Responses to "Avocado Feta Salsa"
ohmygod, doesn’t sound weird at all. I’d eat my weight in this. Pass the chips! OMG I would eat this whole bowl all by myself!! This is a salsa for the books. Love it! Need to make ASAP! We live off avocados around here. Pinned! I love this salsa, and I love that you ate it all before you even made it to dinner. I have never tried feta in salsa, but I want to make this recipe! 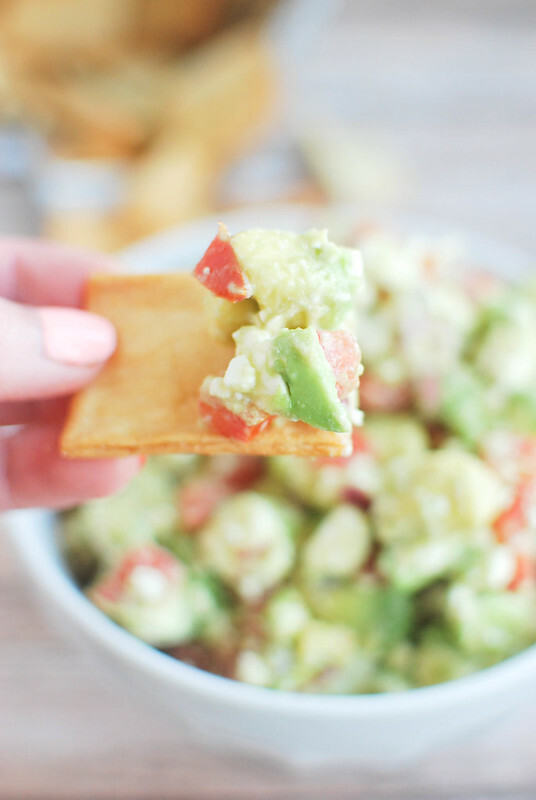 gimme all the Avocado Feta Salsa . . love this!! and perfect for today! I LOVE feta, this looks tasty! This is an amazing combination! Trying this ASAP!!! This looks amazing, I love the avocado/feta combo. I never would have thought to put those two together, but I’m sure it tastes great! Yes to all of this. Like double yes to all of this. I think the feta sounds amazing. Must try asap. I love this salsa! The first time I had it was at a baby shower and snagged the recipe. The only difference in my recipe is that I also add cilantro. So yummy! Yum! I love combining unexpected flavors….this sounds so good, Amanda! I don’t think adding feta cheese into salsa sounds weird at all. I’m sure the flavor is amazing. I definitely have to try this! I added some chicken chunks to this and some lettuce and put it on a wrap it was delicious ! Can balsamic vinegar be used instead of red wine vinegar ?